My latest Oakton Patch column is up today. It is about (inadvertently) taking our daughter to a fetish festival when she was an infant. Where's The FCC When You Need Them? ...and several other bloggers and twitterers. On my way home from happy hour, I was busy texting with my friend and ended up on the wrong train. This was moments after I jokingly told my husband that if I didn't call him from the Vienna metro by 9:00, it meant that I had been stabbed to death in the parking lot. (I'm hilarious like that.) Of course, the train mix-up meant that I did not get to Vienna until about 9:20. He was so concerned that he was busy reading our kid some books and hadn't even noticed the time. He is totally getting a dryer lint card next Valentine's Day. In other news, this week's Oakton Patch column is up. My editor asked for a Valentine's-themed column about my husband. Instead, I wrote about words that I hate. Like "lover" and "luscious" and "pustule." Me: My daughter is dropping valentines off in your mailbox for your daughters. One is decorated with a twig, dryer lint, a small plastic wine bottle and a puzzle piece. I have no explanation. Lisa: No explanation necessary. I totally get it. UPDATE: Perhaps this is an improvement over last year's valentine or her very first art installation. You know how you look back through old school photos and remember a time of innocence? A time of all-American wholesomeness? Yeah, my parents don't either. Recently, I was looking through pictures taken of milestone events in my young life -- you know, ring dance, graduation, and that very special night that holds so much promise, requires so much planning and is the subject of all too many teen romcoms -- the night you use your fake ID for the first time at the Jewish Mother when you're on a date and order a carafe of red wine and then complain to the waiter because it is (and I quote) "warm." Actually, I'm talking about prom. Back in high school, I was such a wannabe thrift-store-clothes-wearing, punk rock-loving, weird-guy dating chick. 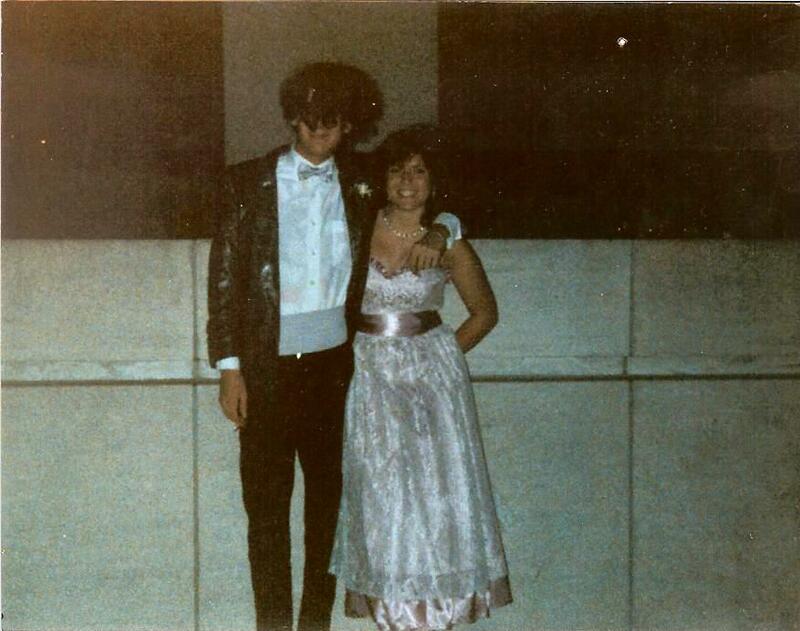 Instead, I was the irregular-Levi's-wearing, new wave-loving, normal-guy dating chick. I guess this was just a rebellious phase. I'm not really sure what I was rebelling against, but that was kind of beside the point. I was a rebel! And I proved it by attending a school-sanctioned dance wearing the same Gunne Sax Jessica McClintock dress that no fewer than four other girls in my class were wearing. Talk about sticking it to the man. My parents did not really understand, and my mother suggested that one day I would regret this choice. And guess what? She was totally wrong. It may have been a little unorthodox, but at least I had a completely memorable prom experience that is still fun to reflect upon. As a matter of fact, during the discussion in a book club I was in several years ago, our chat turned to first loves due to a theme in the book we were reading. A woman in the group was talking about how she had dated the same guy all through high school and how they had gone to prom and how it was such a quintessential high school romance. And to that, I got to reply: "Really? 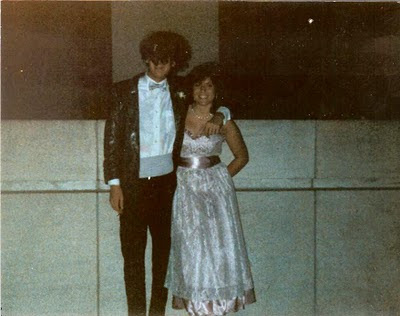 Because I went to prom with a bisexual Robert Smith lookalike."